Tamedo: Unmm Did you notice the “grand” burial given to Chief Gani Fawheinmi! Lagbaja: The man is a great man, from the moment he passed away his GRA Ikeja house became a “Mecca”; all the activists gathered in less than one minute. Tamedo: Activist? Do we still have them? Lagbaja: Of course we have them they came from all the nooks and crannies of Nigeria even NANS came. Tamedo: NANS? Did they not give all kinds of awards to all manner of governors for bringing Mr Biggs to state capitals? Tamedo: Oh so the governor is in town? Lagbaja: Yes and he came with a seasoned activist in his government as they drove out then came the two Odua leaders? Tamedoa: Enm me I no dey o, don’t say anything funny about the Odua people o! Lagbaja: No I won’t, the younger Odua leader got a resounding welcome, sebi you know Gani backed him during the Odua crisis? He waved , shook hands and then signed the condolence register, as he moved to his jeep the other leader came and someone in the crowd shouted hey Baba what are you doing here did you not once describe Chief Gani Fawheinmi as “Digbolugi”? Tamedo: A-a-ah Lagbaja please shut up! You are trying to make something out of nothing, that was in the past and things have changed. At least Nuhu Ribadu came and you can not accuse him of not being sincere! Imagine he risked his life just to come and “touch” Gani’s body...that young man should be president he is the kind of courageous leader Gani was talking about. Tamedo: Baba wetin? You mean Baba Gana Kingibe? Lagbaja: No not Kingibe. Ibrahim Badamasi Babangida. He called Gani a national hero!Tamedo: A national what? Lagbaja: Hero! Wonders will never end, even Olagunsoye Oyinlola made it to Ondo to Honour Gani. And Bola Tinubu too; he gave a very moving speech. Tamedo: Did Tinubu mention Chicago? Tamedo: Did he remind the crowd of how Gani fought him almost to a standstill? Tamedo: Okija? In Ogun State? Lagbaja: Sorry Ikija , but the people’s Democratic Party promise to create a foundation for Gani and also carry out Gani’s programmes in One year. Tamedo: Even the PDP? Wonders will never end. 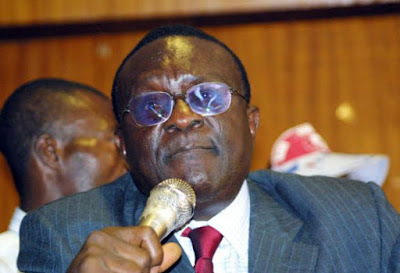 Gani called the PDP Evil party. Tamedo: Are you serious? Did the owner of silverbird not make money under Obasonjo? Or are you telling me Obasonjo’s money will go into Gani’s foundation? Lagbaja: That is your problem, Oshiomole joined AC but I think after Gani’s death he will move to the National Conscience Party in honour of Gani, you know to build a true opposition party not owned by any god father. Tamedo: What about the lawyers? Lagbaja: Ah! they all came even all the Senior Advocates that denied him SAN suddenly remembered being Gani’s best friend. Even lawyers who usually did not want to be identified with Gani during the struggle against military dictatorship brought memorable pictures. As a matter of fact the courts became a mini carnival centre. Tamedo: I was told Gani’s clothes were changed several times. Lagbaja: Mind your business they changed his clothes to match the occasion but when they got to Edo they could not get the Oshiomole kind of Khaki for Gani. Lagbaja: ‘To thy tents o Israel’. The activists will go underground again and leave Yar’adua to continue his misrule; ye pa did I just say that? I withdraw that statement o. I don’t want to be “Boko Harramed”. Anyway it is a regime of “Ruse of Law” I am safe. 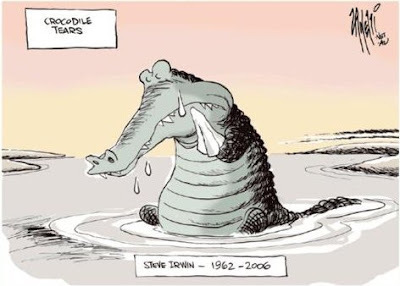 So the activist will resume the usual conferences, symposium , parliamentary lobby, and then wait for 2011 to serve as consultants’ to politicians and then wait for God forbid another important activist and they will all gather again like locusts. Lagbaja: O I see...they ke? They buried Gani Fawehinmi in their hearts. They love him to bits and know that someday very soon, another Gani will rise again. Tamedo: I am going to sleep o jare. Digbolugi...ah, that person must be wicked to describe Gani as Digbolugi and yet shed the most tears, what a world.